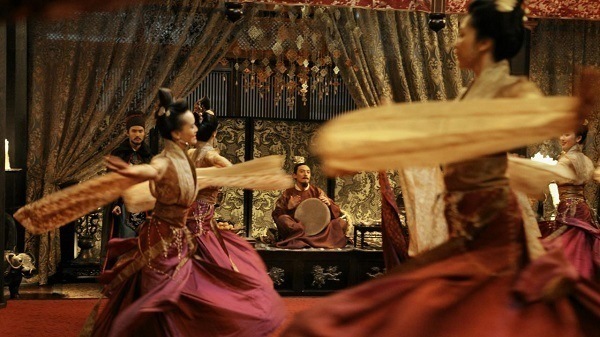 "Like a Ming Vase - beautiful but empty"
The assumption about wuxia movies is that they are all about exciting action and fantastic costumes and set design. The 2015 Chinese movie The Assassin offers something different - tedium. In the 8th century, provinces in China are breaking away from the authority of the Emperor. Yinniang (Shu Qi) is a noble woman who has been trained to be an assassin by her aunt/master (Fang-Yi Sheu). Yinniang refuses to kill an official because he was with his son. As penance Yinniang is ordered to kill her cousin, Lord Tian (Chang Chen), the only man she loves. But Yinniang ends up getting embroiled with the politics of Tian's court. The Assassin is a great example of a movie where critics and audiences are divided. It has a 79% on Rotten Tomatoes, an 80 out of 100 on Metacritic and a lots of excellent reviews in publications like The Guardian, The Telegraph and Variety. The movie won the Best Director Award at the 2015 Cannes Film Festival and was China's candidate for the Best Foreign Language Film Oscar. Audiences have reacted differently - the movie only has a 6.4 rating on IMDB and a 49% Audience score on Rotten Tomatoes. The Assassin is visually spectacular, the costumes and production design is first rate and stunning to look at. The scenery shoots of the mountains and the forests of rural China were beautiful, particularly when showing the mist rolling on cliffs. One beautiful scene near the end shows two characters standing at the edge of a cliff and the mist slowly builds up in the background. Cinematographer Mark Lee Ping Bin took the unique step of filming the movie in a 1.37: 1 aspect ratio, giving the movie a box frame - it is rare to see that these days, in an age where widescreen is standard for film and television. Looks can only get a movie so far. The Assassin is a movie that is only skin deep. It tries to be profound with its stories about a sad bird singing to itself in the mirror and the story about how Yinniang and Tian were torn apart and have a broken jade pendant to remember the event. But it's all hollow. The Assassin is loosely based on a 9th century story and there are some interesting ideas in the movie like Yinniang having to kill someone she loved and Yinniang watching the political moves in Tian's court as well as his troubled romantic life - resulting in the assassin secretly helping a cousin out. The movie does have an excellent opening, a black-and-white prologue sequence where Yinniang is assigned her first kills and she shows her curse of empathy which forces her to accept her mission to assassinate her cousin. After this incredible opening the movie goes downhill, being overly slow and too meticulous for its own good, made even worse by the camera lingering on people and scenery when cuts should have been called. It drags the movie and five minutes could have been cut without any plot details being lost. 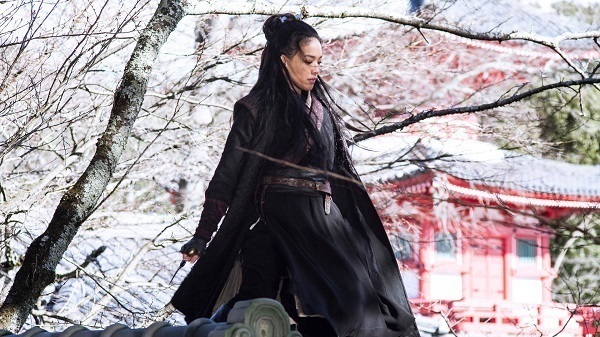 The Assassin is light on martial arts action. When it does appear it is perfectly functional - Yinniang had a cool style of fighting based on dodges and weaves. Her agility made her impossible to hit while she is able to get close to the people she's fighting. Shu Qi was excellent in the fight scenes as she avoid blades and looked a lot younger than her 40 years suggests. Qi was mostly silent during the movie, speaking only a few lines - it forced her to express her emotions through her facial expressions and her eyes as she observes Lord Tian, his wife and mistress. 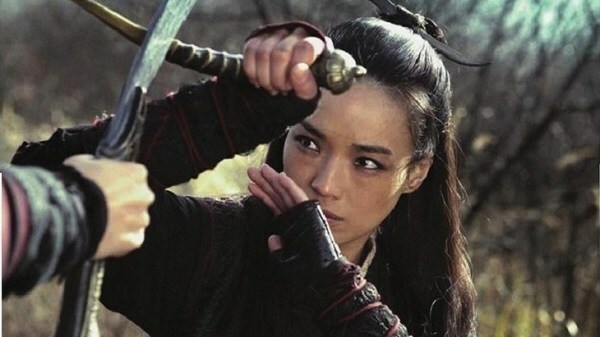 The Assassin has been praised for being a feminist take on the wuxia genre. It is commendable and women are ever present throughout the movie - but it's not new for women to have a major roles in wuxia movies. Zhang Ziyi and Michelle Yeoh both starred in the Oscar nominated movie Crouching Tiger, Hidden Dragon and Zhang herself became known as a wuxia star. Even in the early days of the wuxia genre women were part of the action like in Dragon Inn and A Touch of Zen. Just because a movie has women in major roles does not save it if the product is dull. The Assassin is like the boy or girl you might have liked in school, being very attractive but has nothing below the surface. It has the scenery, production design and costumes and some decent fight sequences, but it does not have enough action to be fun and is too boring to be interesting.